Lawns turn yellow due to a variety of reasons, including improper cultural practices, severe insect damage and disease. Because green grass is associated with a healthy and vigorous lawn, yellow grass raises alarm and is cause for concern. Whether patches of lawn grass are yellow and burnt or the entire lawn is pale in color, with proper care you can nurse the grass back to health and restore its natural color. Fungal diseases such as dollar spot, rhizoctonia yellow patch, rust and fusarium patch damage the lawn and cause it to appear yellow or straw-colored. Most of the diseases thrive in warm temperatures and high humidity. To treat the disease, follow a proper fertilizing and irrigation schedule and practice good sanitation to reduce stress on the grass. If the symptoms of disease still persist, apply a fungicide over the area to control the disease and help the lawn restore its natural color and texture. Severe or untreated pest infestations damage lawn grass and make it yellow. Different types of pests damage the grass in different ways, but the resultant grass is yellow, flat and limp. While grubs feed on grass roots, mites and chinch bugs sap vital juices from the blades. To achieve control over the particular pest, apply an insecticide over the grass and irrigate deeply to help it release chemicals in the soil. Follow label directions for repeat applications and keep traffic off the grass for the specified time. If the infestation is large or severe and the grass has no chance of bouncing back to health, pull it out along with its roots and replace it. Sometimes a lawn turns yellow because it enters its dormancy phase and is not a sign of stress or damage. The dormancy stage helps the grass rest and reserves its energy until it turns green again. For best results, select grass suitable to the climate in your area. Do not plant warm-season grass in a cold area that goes dormant from fall until spring green up. Improper cultural practices increase stress on the grass and makes them susceptible to diseases and pests. Follow a timely schedule of fertilization, irrigation and mowing to keep the lawn healthy and green. Ideally, feed your grass 1/2 lb. of nitrogen fertilizer per 500 square foot area. Irrigate the lawn infrequently but deeply, preferably every week to 10 days using a soaker hose to avoid moisture on the blades. Provide the grass 1 to 1 1/2 inches of water every time you irrigate it. 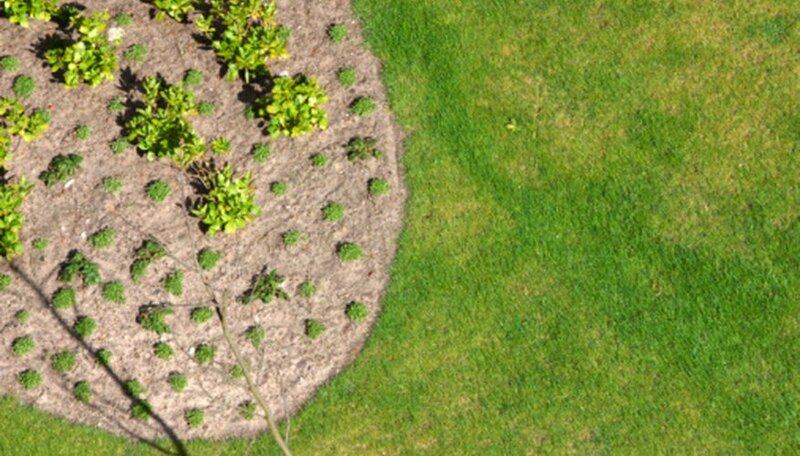 Although individual recommended heights for grasses vary according to their types, most thrive between 2 and 3 inches. However, mow the grass slightly higher than the recommended height during the summer months to reduce stress. Why is My Grass Dying? When to Treat for Crane Fly Larvae?